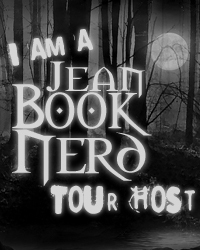 Today I have a neat blog tour and giveaway for you! to crush a cunning enemy and save the realm from chaos? year old Valory Braiosa attends a training academy for elicromancers, immortal beings with magical gifts. Yet Valory’s immense power seems impossible to tame, and she faces imprisonment by the Nisseran authorities. Then a forbidden resurrection spell awakens a long dormant evil, and Valory may be the only one who can vanquish this terrifying villain. Together with a band of allies including an old friend; a haughty princess; and a mysterious, handsome stranger Valory must learn to harness her power and fight back. Weaving together her imaginative world of gritty fairytale magic with snippets from Beauty and the Beast and other classic stories, Hannah West’s dark and dangerous adventure is a gripping, immersive companion to her acclaimed debut, Kingdom of Ash and Briars. This richly packaged edition includes an illustrated family tree, detailed map, and embossed jacket with shimmering metallic effects. Review: I tend to like the first book in a series the best but I think ROR outdid KOAAB. I loved the Little Mermaid and Beauty and The Beast elements and how they made the story even more magical and dark. I don’t know if it’s just me but Valory gave me some Elsa vibes. The plot was amazing and the pacing wasn’t too fast or too slow. I loved Valory and her ending scene was brutally awesome! I still can’t get over the little disney elements and I’m still reeling from all the thrills in this book! All in all I loved this book, I love this series, and I love Miss West’s amazing storytelling and if you’re a disney fan looking for a great retelling this book is definitely for you! Hannah West is the author of Kingdom of Ash and Briars and its companion, Realm of Ruins. She’s always loved writing about magic and fairytales, but her time studying abroad in Orléans, France inspired her to finally write and publish a fantasy novel. She’s a freelance writer and vegetarian living in Texas with her husband and their rambunctious blue heeler. Disclaimer: It might be restricted by country. Bundle includes: 1x physical copy of Kingdom of Ash and Briars + 1x physical copy of Realm of Ruins. I just love the cover of this one. Sounds like a fun read. Thanks for sharing!